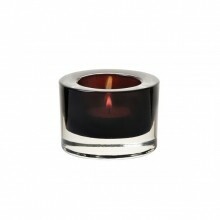 Dim the lights of your restaurant and set the mood with candles! Not only do candles make your restaurant of café more elegant, candle holders are an tasteful accessory to place at every table! Tone down the harsh lighting and make your guests more comfortable. Easy to replace, a small candle holder at every table is a small gesture that goes a long way into make a customer’s dining experience that much more enjoyable!